Curtis Holland, of Springfield, Tennessee, has been named the 2013 PTR Jim Verdieck High School Coach of the Year. He has been the Springfield High School Boys and Girls Tennis Coach or 27 years. The longest tenured coach at Springfield High, Holland has led his teams to two Girls Region 5 Team Championships, and two appearances at the TennesseeSecondary School Athletic Association State Playoffs, including one in 2012. He coached 10 boys teams to District Championship, and nine District Championship girls teams. Thirty-nine of his girls were named All-District 69 times, and 37 boys who were All-District 58 times. In 2007, he coached student-athlete Justin Hamm to become the first Region 5 AAA Singles Champion in Springfield High’s history. He may be most proud though of the 10 players he produced who earned tennis college scholarships, including a Southern Intercollegiate Athletic Conference Champion. Holland has been named Tennessee Athletic Coaches Association (TACA) District 19 Boys Tennis Coach of the Year 19 times, and TACA District 19 Girls Coach of the Year six times. 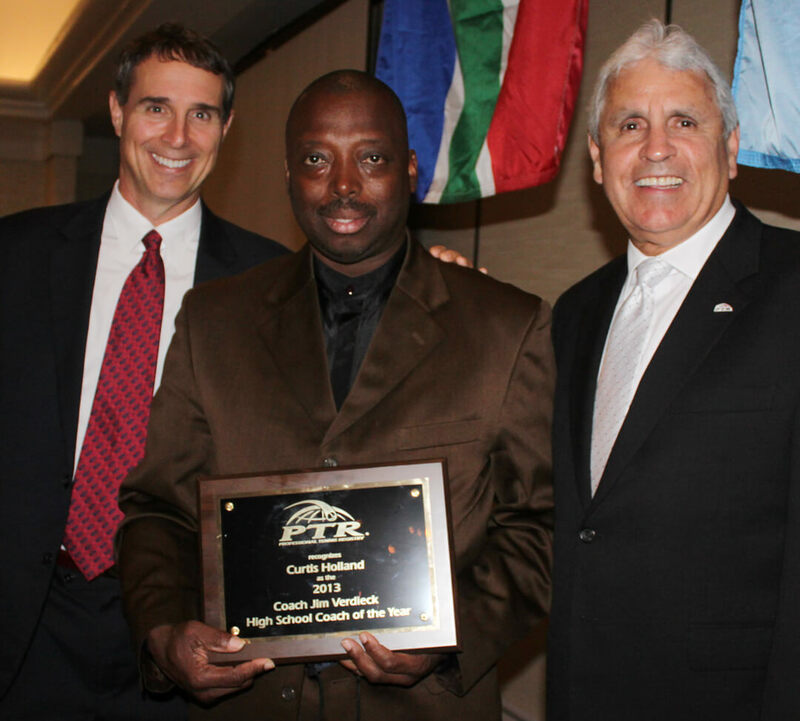 In 2004, he was named PTR Member of the Year for the State of Tennessee. Last year, the City of Springfield named the newly renovated courts at Garner Street Park – The Curtis Holland Tennis Complex. A PTR Clinician and Tester, and lifetime member of the American Tennis Association, Holland has been involved in tennis for 39 years as a player, teaching pro and coach.